Today’s Fantastic Savagery Week Pick is Gun Metal Games’ treatise on all things celestial and holy, Forces of Light: The Savage Guide to Heaven. This popular product is a companion piece to the highly successful Codex Infernus: The Savage Guide to Hell, and both books give the GM a ton of great material to incorporate into any Savage campaign where angels and celestial matters might come into play. As well, there’s a lot of great added options for players wishing to bring the Light to the world. Where There is Darkness… There Are Those Ready to Stand Against It! 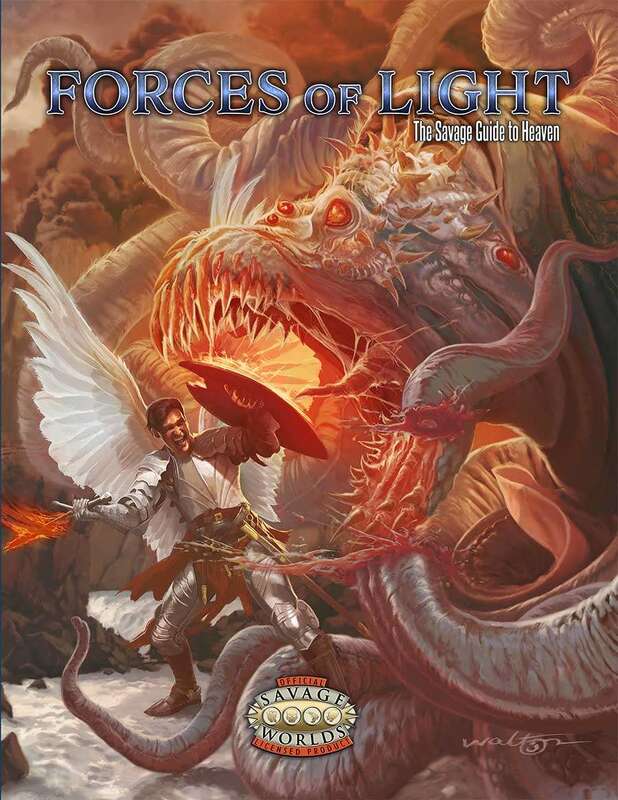 Forces of Light The Savage Guide to Heaven is the companion book of Codex Infernus, the Savage Guide to Hell.